This elegant, historic pre-Civil War brick home is set back from the road in a tranquil setting on 1.1 acre. Rooms are grand & spacious, with curved walls, hardwood floors, tall ceilings, built-in china cabinets, & unique marble topped round radiators. The kitchen is worthy of Architectural Digest, with a copper farmer's sink, copper lighting, wood floors, giant island, fireplace, & high-end appliances. Cozy den off the kitchen features brick walls, original old wood beams, & new cedar ceiling with skylights. Impressive curved staircase with cherry banister leads upstairs to 4 bedrooms & 2 full baths. Scenic vineyard views from the private back yard. 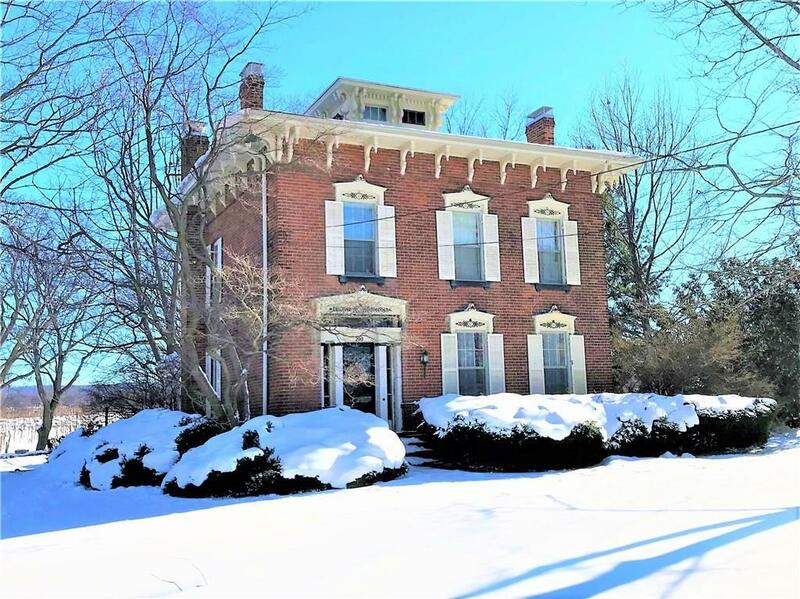 Great location minutes from vibrant, ever-improving downtown Westfield, & many wineries & breweries nearby!